MGM French Properties has reported its busiest and most successful start to the year to date, with increased activity in the first quarter resulting in 50% more sales compared with previous years. Its success has been bolstered by stock of desirable outright purchase properties available in a selection of top ski resorts, which has helped the residential developer to achieve growth despite Brexit. 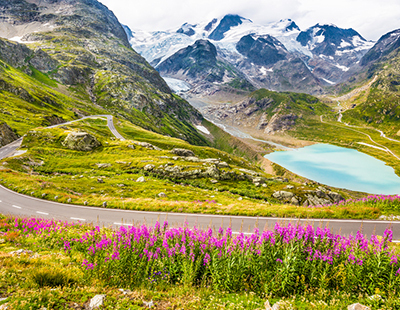 “There is a real appetite for the Alps at the moment, and we are thrilled to see the market pick up, especially in the months leading up to Brexit,” Richard Deans, sales manager at MGM French Properties, said. The selection of resorts and unique positioning of MGM’s developments – as well as the calibre of outright purchase stock – has been key to attracting buyers. Deans noted a shift in interest from leaseback to outright properties, with 90% of the units sold in the last three months being the latter. The most popular ski resorts among MGM buyers include British favourite Sainte-Foy Tarentaise, the high-altitude and sporty Tignes, the year-round destination of Samoëns in the Grand Massif and family-friendly Les Houches in the Chamonix Valley. 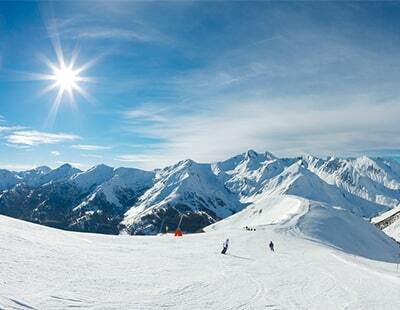 Sainte-Foy Tarentaise is a hidden gem offering tranquil slopes and off-piste routes in a natural setting. The youngest of the Haute-Tarentaise resorts, development began just over two decades ago, with MGM contributing to the growth of this boutique resort. Les Fermes d’Eugeni is MGM’s latest addition to Sainte-Foy, offering 48 ski-in apartments which are centrally located for immediate access to the shops and slopes. Available for outright purchase, the properties start from €260,000 and the development is due to be complete by Christmas 2021. Renowned for its sporting reputation and with a high point of 3,456 metres, Tignes is one of France’s snow-sure winter destinations. Located in a prime position above the Tignes 1800 gondola, Le Lodge des Neiges (‘The Snow Lodge’) is a striking ski-in-ski-out development, with each apartment benefitting from an exclusive 1,000m² spa and recreational facility. Prices start from €315,000 for a one-bedroom apartment and up to €715,000 for a four-bedroom apartment. 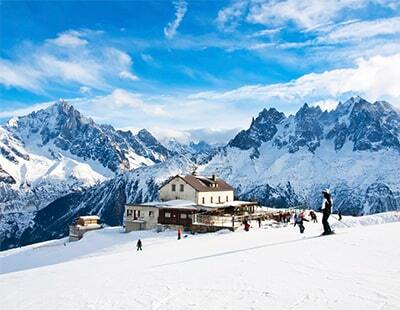 Samoëns, meanwhile, rests in the heart of the Grand Massif, with its ski area boasting an altitude of 1,6000 metres. Chalet Saskya is a boutique residence of 12 apartments ranging from one to four bedrooms. Situated next to the gondola station, the Grand Massif Express, the homes have easy access to the pistes and impressive views of the surrounding area. Prices at Chalet Saskya start from €440,000 and will be ready from Christmas 2019. Les Houches is an ideal resort for families looking for a place to teach young children to ski, while still enjoying the challenging slops of Chamonix Valley. Chalet Délys comprises 10 luxurious apartments located just 200 metres from the Prarion Gondola and within short distance of the Bellevue ski lift. While the outright purchase homes come unfurnished, they feature fully-fitted kitchens and bathrooms. Each apartment comes with a large private balcony or terrace, offering exclusive views of the Mont-Blanc mountain range. The prices for the apartments start at €340,000 for a two-bedroom home, ranging up to €635,000 for a four-bedroom home. For more information about MGM’s developments, you can visit its website. What nonsense. Rural properties in France have been losing their value since 2008.